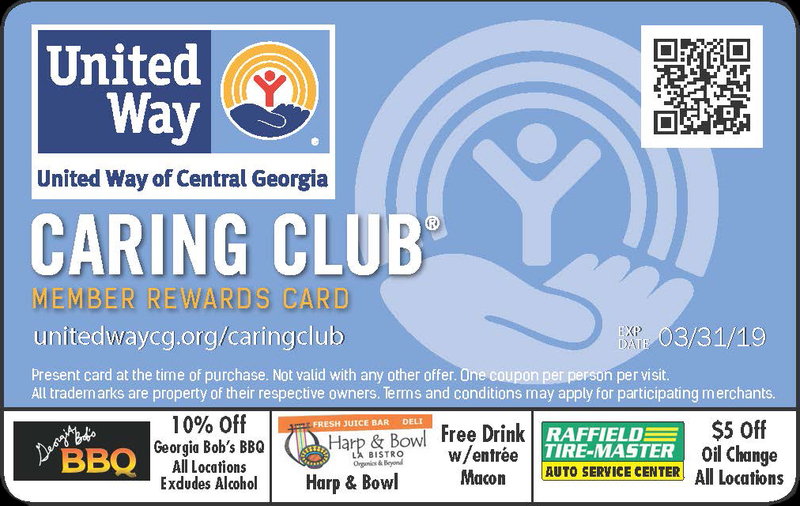 receive a gift courtsey of local merchants: The Caring Club® card. We say "thank you" by giving you discounts at a number of participating businesses. If you are a merchant who wants to join in, click for the merchant agreement form. Remember , what you contribute goes to agencies and initiatives that make Central Georgia stronger. And please provide your home address, so we can mail your card . New businesses are being added weekly, so keep checking back.